So pretty Sylvie - your best customer will love it! What a beauty. Really stunning card Sylvie. Sylvie your card is gorgeous - such pretty pinks. Have a wonderful time in Spain! Great composition Sylvie and the colours are perfect for this occasion. Such a pretty card Sylvie, love the stamp. 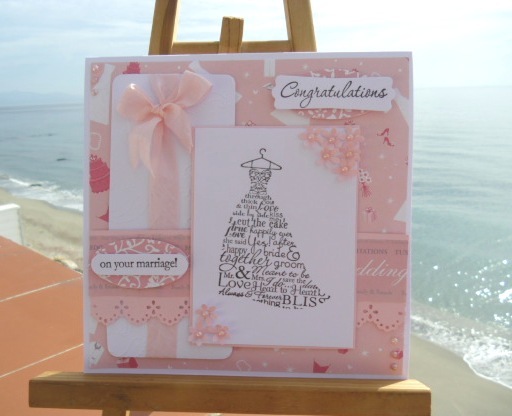 Stunning card Sylvie! Love the stamp and the gorgeous pink colour scheme. gorgeous card Sylvie, not been around much in the last week but your latest cards are lovely. Beautiful, love the stamp !